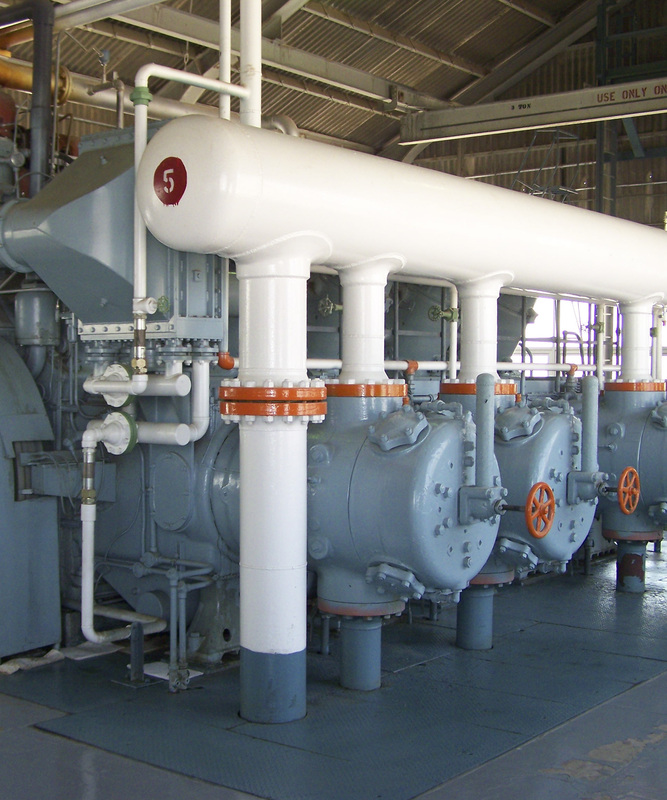 Compressor stations power natural gas through thousands of miles of North American pipeline. Each station has multiple machine trains composed of turbines, reciprocating compressors and engines, all of which require precision alignment. These machines have many interrelated components. For reliable and efficient operation, the critical geometric relationships between them must be set correctly. Misaligned equipment leaves your station vulnerable to a host of issues ranging from lowered transmission rates to equipment damage or machine breakdowns. The lost revenue and downtime associated with such interruptions are enormous. Whether you are bringing a new unit on-line, troubleshooting a difficult machine section, or need support for periodic maintenance outages, we can help. The optical instruments we employ are ideally suited for this environment, having measurement accuracies of ±0.001 inch per 17 feet. We can inspect, evaluate and guide the adjustment of components in hard-to-reach places throughout the entire machine train. We have the technology and experience to manage the complex geometric relationships in your machinery. Let’s look at some common requirements. Compressor engines are typically set in a stress-free state before inspecting other features, so an optical instrument (a precision sight level) is used to initially set the frame split-line in a flat plane. Crankshaft bores can be checked for straightness using the same instrument. This is accomplished by aligning the instrument to reference datums, such as bearing journals at the near and far end of the machine. 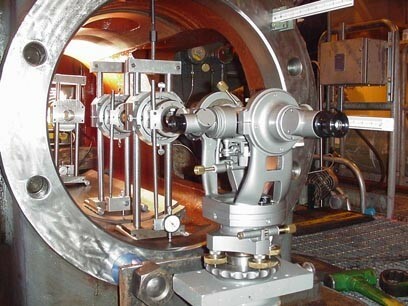 Subsequent measurements are taken on internal components to determine deviation from the optical centerline. Brunson has been providing innovative alignment solutions for decades. As a premier manufacturer of high precision metrology instruments and accessories, we use fully calibrated and documented equipment to meet your internal quality standards. The work is documented electronically to show what was inspected or aligned, how it was done, and all the appropriate before and after machine positions. 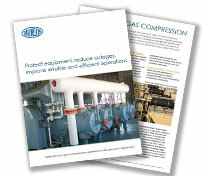 Proper mechanical alignment is a core requirement for turbo machinery in gas compression applications. So it’s not a surprise when our customers tell us that our alignment services provide great value, often paying for themselves within weeks, not months or years, with the cost savings continuing to grow after that. Contact us to learn how precision machine alignment can improve your bottom line…or schedule an on-site visit to get your equipment running at peak performance. 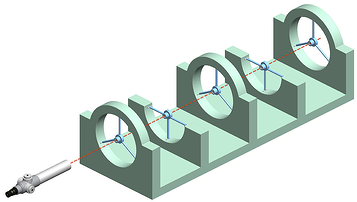 Learn how precision optical alignment can help increase profits for your plant.